So, if you know your game is permitted, licensed, regulated or offered in a permitted environment, it’s okay. If you’re not sure, this page will tell you what’s permitted for poker players in terms of home games, online poker and casino poker. 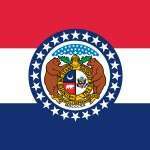 Are Home Poker Games Permitted in Missouri? Home poker games are okay, so long as you follow the rules. The general rule of thumb is that they’re okay so long as you don’t rake the pots or charge a tournament entry fee. It’s also a good idea not to charge for drinks or food. Basically, you can’t sell or do anything at a profit. Otherwise you’ll come across as a business or a gambling business. A person who gambles at a social game of chance on equal terms with the other participants therein does not otherwise render material assistance to the establishment, conduct or operation thereof by performing, without fee or remuneration, acts directed toward the arrangement or facilitation of the game, such as inviting persons to play, permitting the use of premises therefore and supplying cards or other equipment used therein. Online poker isn’t permitted or exempted in state law. Therefore, it’s illegal. Sure, he’s not saying it’s illegal for you to play. But clearly it’s illegal for these sites to operate in Missouri (and they know it). You have to ask yourself – are these the types of businesses you want to give your money to? What’s more is the state put out a press release in 2012 titled, “Two Joplin Men Indicted for Internet Gambling.” It talked about two residents they charged on 16 counts for operating an illegal gambling operation. So, it should be clear to you Missouri looks down on gambling, even if their focus is mostly on operators. What About Live Poker in a Casino? Are casino (poker) games legal in Missouri? Licensed excursion gambling boats and floating facilities which house games of chance and skill, including poker, craps, blackjack, legal. The key word here is licensed. But that should apply to any commercial casino or riverboat you find with a simple Google search. Ameristar – Play Texas holdem, omaha, 7-card stud, pineapple, razz, low ball and more. They offer both cash games and tournaments with a wide range of buy-ins. River City – Receive 33% more comps per hour. They have 14 tables including limit and no limit holdem, omaha and omaha hi/lo. They offer both cash games and tournaments. Downstream Casino – They offer both tournaments and cash games. Other than poker you can also choose from a large selection of craps, blackjack, slots, keno, roulette and other table games. This is illegal. You’ll get charged with a Class C misdemeanor at best and a Class D felony (and up to 4 years in jail) at worst. So, just play poker for fun, alright?! Experts think we’ll see some kind of online legislation in 2018 or 2019. There’s nothing on the docket (for online poker legislation) now. And there hasn’t been up to now. All the state has done so far is go after (illegal) operators. And granted, that doesn’t mean they’re anti-online gambling, but with all things considered you can’t help to get that vibe from them. So, I don’t expect Missouri to legalize online poker, and certainly not by 2018-2019.